"What exists, in absolute rapture, Glorifies the Essence of Being." 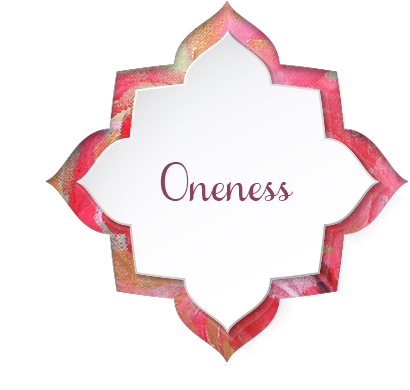 Prophet Mohammad (peace be upon him) gave directives as to how one can cognize one’s true self. To attain this state, one must submit to God. It is through submission to the knowledge that one’s actions are founded upon wisdom and not on ignorance, superstition, or blind faith. Unfortunately, many believe that to submit means you are subservient to someone. This is false since it is blind faith and therefore not worthy of the dignity of the human being as ordained by God. in the true reality of Existence. 1. Molana Salaheddin Ali Nader Shah Angha, Sufism and Knowledge (Washington D.C.: M.T.O. Shahmaghsoudi Publications, 1996), 20-21. 2. Molana Salaheddin Ali Nader Angha, Theory "I": The Inner Dimension of Leadership (Riverside, CA: M.T.O. Shahmaghsoudi Publications, 2002), 166.